Gorgeous globe-shaped crystal accents help the candlestick bases of these two contemporary table lamps truly pop. This set of 2 clear crystal table lamps feature four stacked globes that create the bases. The stand and top accents are constructed of brushed metal. Off-white drum shades finish off this spectacular look that will take your home decor to a sparkling new level. Set of 2 lamps: each is 29 1/2" high overall. Bases are 6" wide. Shades are 11" across the top x 14" across the bottom x 10 1/2" high. 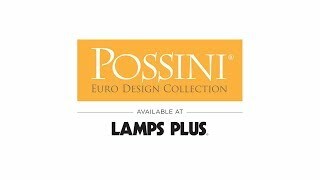 Modern table lamp styling from the Possini Euro Design brand. Clear crystal stacked globes. Brushed nickel finish accents and round bases. White drum shades. Each lamp has a 7 1/2-foot long clear cord. Looks classy. Clean lines, beautiful design. Because one of lamps I purchased from you has some sort of short inside the lamp wiring. So if the table or lamp is touched, it blinks. Very irritating. 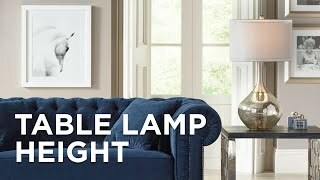 Because I have never, EVER been disappointed in anything I have purchased with Lamps Plus! GOOD JOB, everyone! They are beautiful from what I can tell in the picture. The price is amazing and it includes the shade. 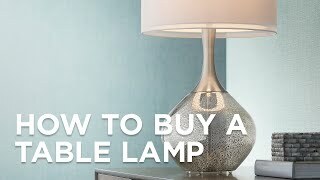 We have several lamps we have purchased from Lamps Plus over the years so I assume the quality and service is the same. Updated clean look that blends with most decor. 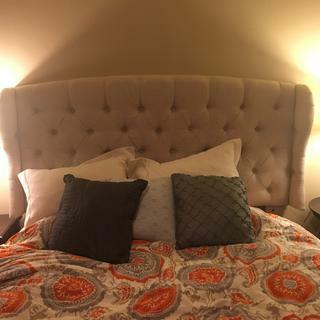 I was looking for a neutral lamp to 'work' with a very colorful guest bedroom. And I love the 100 watt bulbs, which should brighten up the room considerably. I bought these lamps because of the style and good reviews. 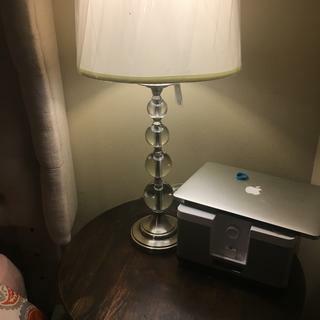 Does this lamp have a switch? BEST ANSWER: Hi, these table lamps have an on/off socket switch. No they have cords that come out the bottom. How tall is the lamp without the shade and with the shade? BEST ANSWER: Hi, the base of the lamp is about 16" inches high. I just ordered this pair of lamps BECAUSE in the description it said "white shades." But in a side comment about the shades it says they are "off white." So....which is it? If off white I will need to cancel order or return. BEST ANSWER: The lampshades are a natural white color. Hello!! Is the cord visible on the one side of the glass balls?? BEST ANSWER: The cord comes out of the base of the lamp. You do not see the cord inside the crystal balls. They are beautiful! I use them for bedside lamps. It does not...these are lovely lamps. Is the metal a gold or silver finish? It's difficult to tell from the picture. BEST ANSWER: IT IS SILVER and they are lovely. So sorry for the delay in answering. It is a silver finish. Can this lamp take a 3-way bulb? BEST ANSWER: 3 - way light bulbs are not compatible with these table lamps as they are on/off only. The description says these lamps take 100 watt bulbs. But in answer to a previous question, the answer says 60 Watts. Can someone clarify of 60 or 100 watts? BEST ANSWER: Hi - we double checked and these can use a maximum 150 watt bulb. 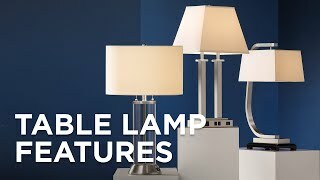 Can these lamps use a 3 way bulb?? BEST ANSWER: No, you are not able to use 3-way bulbs. They are beautiful lamps. I really have enjoyed them even though I can't use the 3-way bulbs. I am very happy with these lamps but the switch is a simple on/off switch. 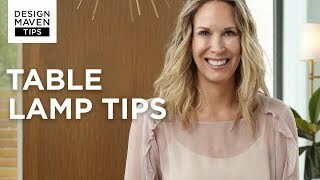 Do you have a floor lamp with glass balls? BEST ANSWER: Yes! Click on the images below to look at a selection of floor lamps that would coordinate with the set of 2 Quad Stacked Crystal table Lamps you are interested in! Please feel free to contact one of our lighting specialists via phone, email, or chat. They can assist you in selecting the best design for your lighting needs. This pair of lamps lights up my living room on my end tables. Everyone comments on how pretty they are, but I especially like how they brighten up the areas. These came packaged very well, everything in the carton was in great shape. These will add great light to my semi-dark family room. They are beautiful and classy lamps. I absolutely love these lamps! 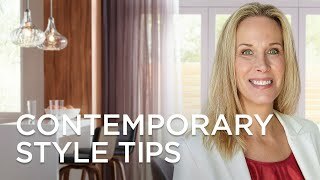 They were affordable and very stylish. They are also a great size. They tie my whole bedroom together, I'm very happy with this purchase! Packed very well, received promptly. 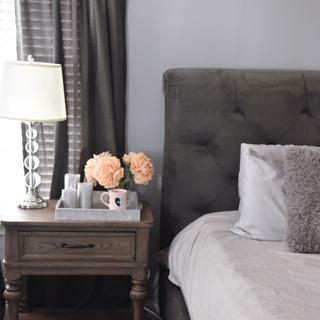 We hope you like the photos styled by @tonyamichelle26 - look for more exciting images and video on our product pages! Arrived promptly, but again, they were the most difficult lamps to unwrap. Cons: The most difficult lamps to unwrap. I picked these up at the local Lamps Plus, they were placed in one box, took all but 5 minutes to put together. Beautiful looking but a little taller than I expected. 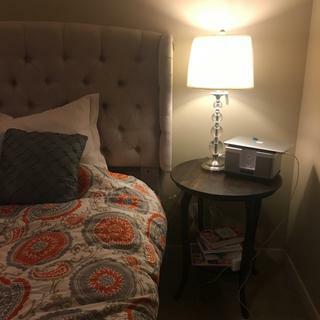 I purchased for the bedroom nightstand but loved them in the front room on side tables next to our couch instead. Lamp shade is a very nice quality as well. Exactly what I was looking for. Came wrapped very securely and quick in the mail. Beautiful quality and added the final touch to our bedroom. Will cherish for years to come! I should have returned these after I received them but did not. The shades came yellowed and they have gotten worse. The clear balls are not glass. I wouldn't buy them again. Hi Julie M., sorry to hear that the shades on your lamp became yellow over time. We would also like to clarify that the globes are made of clear crystal. Our customer service team would like to learn more about your lamp usage and environment, as well as provide some assistance, so please reach out via phone, email, or chat. Thank you.